Wellknown playback singer Karthik recently debuted as Music composer for Aadhi starring Aaravan movie. 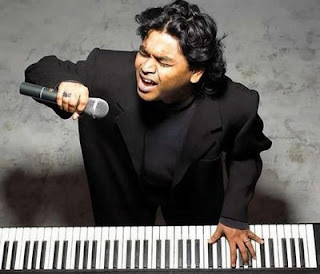 Now the latest update is that Karthik has sung a song for Rajinikanth's Kochadaiyaan under Rahman composition. A.R.Rahman is busy in composing tunes for Kochadaiyaan and had a song sung by Karthik which has lyrics by Vairamuthu and Vaali.It is known that A.R.Rahman has earlier finished a song recording with 130+ members German Orchestra. Superstar Rajinikanth is romancing Deepika Padukone in the film which is said to begin its shooting from March 2nd.Shobana, Sarath Kumar, Rukmini, Nasser, Jackie Shroff and Aadhi will be seen in key roles of the film.K.S.Ravikumar is penning the script of the film while cinematography is by Rajiv Menon.Sunil Lulla will be producing film under Eros Entertainment. 0 comments for "A.R.Rahman Ready For Kochadaiyaan Movie 2nd Song"